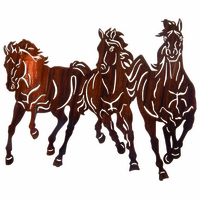 Whether you are an equestrian lover or you just want to bring a western or southwestern feel to your decor, you cannot go wrong with horse metal wall art! 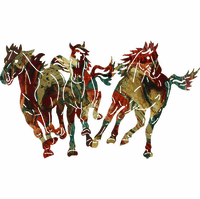 The horse holds an allure that surpasses nearly any animal in the world. 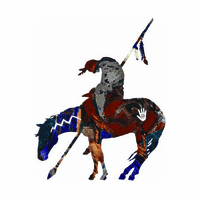 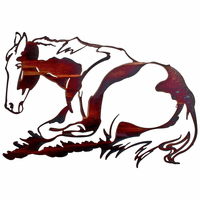 The horse is a staple in lodge decor and rustic country motifs, among others. 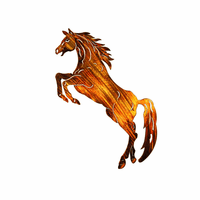 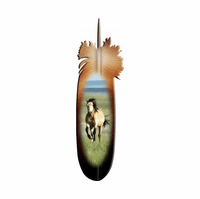 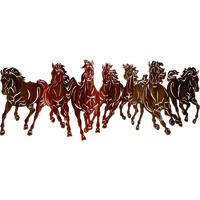 In this category you will find beautiful metal wall art depictions of the horse � both in sculpture and in horse scenery wall art. 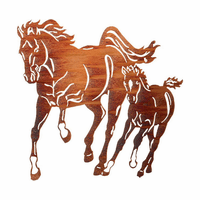 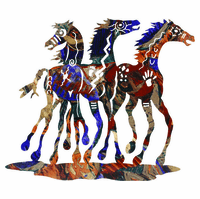 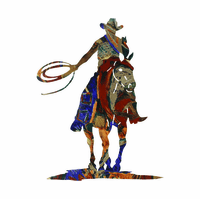 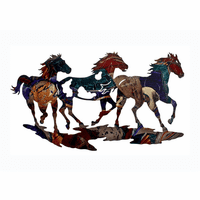 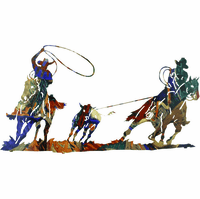 From three dimensional metal wall hangings featuring beautiful horses or single horses, to scenes of cowboys with their trusted steeds, you will find a plethora of horse metal wall art among the pages of our vast and ever-expanding inventory.